A senior foreign policy official warned that Iran's withdrawal from the Joint Comprehensive Plan of Action (JCPOA) and its consequences for the security of the region and Europe will not be in the interest of the European governments. 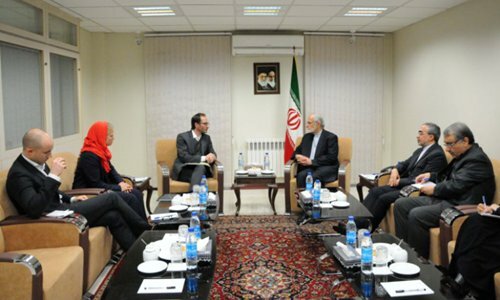 Chairman of the Strategic Council for Foreign Relations of Iran (SCFRI) Kamal Kharrazi underlined that more serious talks between Iran and key European countries should be developed to examine the future of relations. In his meeting with a Norwegian delegation from Norwegian Centre for Conflict Resolution (NOREF) think-tank, Kharrazi described the policies of the US President Donald Trump as dangerous for Europe, and said that efforts to create a gulf between western and eastern Europe and policies such as supporting Brexit and extremist nationalism in Europe are among the dangers that the United States has created for Europe. The senior official emphasized that this process should be stopped and if Europeans do not stand up to American pressure at this stage, they will face much more problems in the future." Saying that if the Europeans do not maintain their independence, they will become the US' hostage, Kharrazi, also former Iranian foreign minister, and said, 'Iran expected the EU to act practically as one of the parties in Iran Nuclear Deal, but they have not done anything against the US so far, and this has had a bad impact on the Iranians who have respected their commitment." 'The Iranian nation, as it has not been succumbed to American pressure over the 40 years since the Islamic Revolution, will stand against the pressure of the United States and as long as the White House policies toward the Islamic Republic do not change, the Americans must not expect for changes in Iranian polices,' the head of SCFRI stated. Referring to the American plan to hold an anti-Iran conference in Poland, Kharrazi described this as another apparent example of US hostility against Iran, and elaborated, "The United States, by holding this political show focused on Iranophobia in Poland, is taking Poland's national interests as hostage, and the Polish government's reverence to the US government is considered insulting to European identity and the European nations.